We recently held our first Gin Tasting evening and to say it was a huge hit is somewhat of an understatement! Strathearn Distillery based in Methven, just along the road from us, came along and chatted about their artisan production methods to a restaurant full of foodies and gin lovers. We’ve been stocking this amazing gin for a wee while now but in order to make the night special I came up with a menu that was paired perfectly, course for course, with one of their gins. Obviously, I’m a perfectionist and so I had to taste quite a few nips before I got it exactly right…. 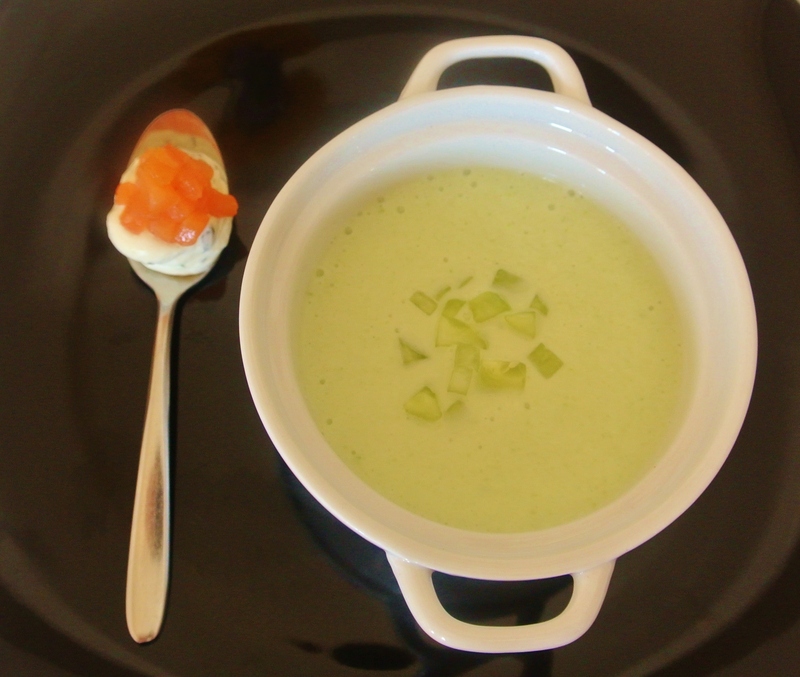 This is a super summery chilled cucumber soup served with a salmon, gin and fennel cream. Make it a perfect dish and use one of the wonderful Strathearn Gins (you must try the Homecoming) and some local Dunkeld Smoked Salmon. You can buy both of these ingredients from our pals at Provender Brown! Peel, half and scrape out the seeds of the cucumber before chopping into 1 cm thick slices. Place the cucumber, crème fraiche and milk in a blender and blend till smooth, pass through a sieve if you prefer. Season to taste and chill for at least hours. Simply combine all the ingredients together with the whipped cream and add salt and pepper to season to your taste.